Volkswagen's upcoming electric vehicles will be based on its flexible MEB platform, and will also be used by other car makers like Audi. The automobile industry is buzzing with news every day about electric vehicles. While Tesla has been the runaway leader focusing solely on electric vehicles, more and more companies are joining the game right now. The latest target setter is Volkswagen, who has stated that its electric vehicle portfolio will rise to sales of 1 million EVs by 2025. The company is targeting more affordable segments of the auto industry looking forward, and aims to restrict Tesla's market outreach by doing so. 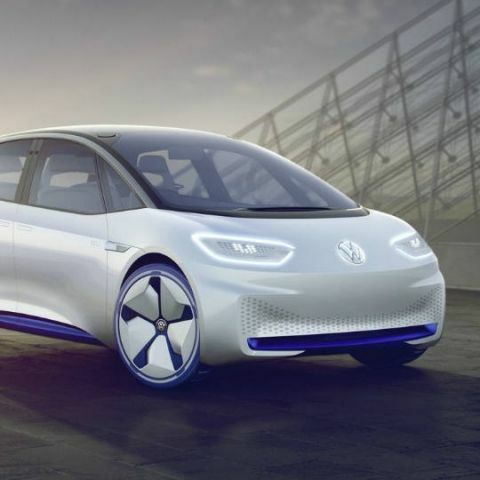 Herbert Diess, chairman of the Volkswagen Group's brand board, stated to Financial Times that he is confident of outperforming Tesla once it begins actively pursuing its EV plan. "Tesla comes from a high-priced segment, however they are moving (to lesser price segments). It's our ambition, with our new architecture, to stop them there, to rein them in," stated Diess. Volkswagen's production plan of 1 million EVs is best on the MEB platform that the company unveiled for its electric vehicles. The company claims that it is flexible enough to produce cars of varying makes, and cover different brands under its umbrella include Audi and Skoda. VW provided proof of its concept platform by unveiling three different concept cars, all on the same platform - the ID concept hatchback, the ID Buzz concept minivan and the ID Crozz concept crossover. The advantage of a singular platform lies in engineering expenses, and allows a company faster production times and more units created than the use of different platforms. Tesla, meanwhile, is set to gain a headstart on Volkswagen if its production goes according to plan. While Tesla's first two production cars, Model S and Model X were premium offerings, the company is aiming to lower the cost of its cars with the launch of the new Model 3. It is this segment that is expected to be the active one going into the future, and the one that Volkswagen will target to amplify its sales. Is Linkdien profile is more effective to sell you ? How much should I sell my Xbox 360 slim for?